President Muhammadu Buhari spotted today inspecting his farm in his hometown, Daura, Katsina state. 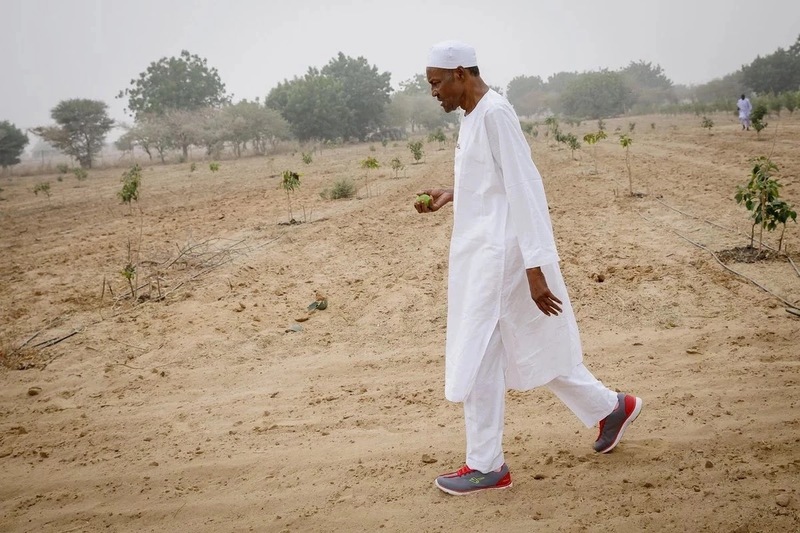 "I'm spending a few days at home in Daura before I travel to France for the One Planet Summit. Today I paid a visit to my farm. I grow fruits & vegetables,& keep cattle. I hope this will inspire one more person to take up farming. My vision is for a country that grows what it eats"